Grant Gustin’s Flash will be making his way to National City and crossing over into an episode of Supergirl very soon, CBS announced. “We are so incredibly excited to announce something that we have dreamed of happening since we starting making Supergirl,” Greg Berlanti and Andrew Kreisberg, who are executive producers on both series, said in a statement. 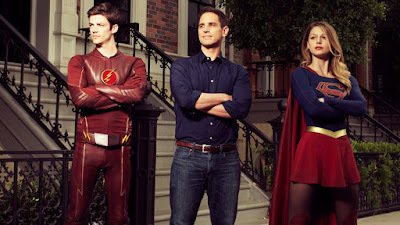 “We want to thank Grant Gustin for making the time to come visit (on top of his already immense workload) and all of the folks at CBS, The CW, Warner Bros. and DC for working this out. Details of the crossover have yet to be revealed, but the episode is set to air on Monday, March 28th.